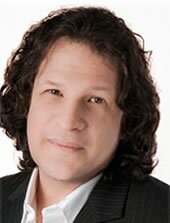 Joseph Eliezer is a Vancouver-based psychotherapist and registered counsellor. He practices a unique form of therapy, called Intuition-Enhanced Psychotherapy, which combines Joseph’s highly developed intuitive abilities with his in-depth psychotherapy training. Joseph has helped many of his clients bring clarity and understanding to their unique circumstances, gain insight into troubling situations and find solutions to many life’s puzzles. Joseph is also a bestselling author. His book Simply Spirit: A Personal Guide to Spiritual Clarity, One Insight at a Time went to #1 on Amazon.ca and has been recognized by BBC Persia, the BC Cancer Agency, British Columbia Retired Teachers’ Association, Inspire Health, Dunbar Heights United Community Church and other organizations. As a speaker, Joseph has presented to various groups on the topics of emotional well-being and intuition. His goal is to inspire and empower people worldwide to integrate their intuition into decision-making process to achieve the most optimal life outcomes. Joseph holds the designation of Master Practitioner of Counselling Psychology (MPCP) and Clinical Supervisor as registered with the Canadian Professional Counsellors Association (CPCA), and Master Therapeutic Counsellor (MTC) with the Association of Cooperative Counsellors of Canada (ACCT). Joseph is one of very few counsellors in the province of British Columbia who has earned the Guest Member status at the Canadian Psychoanalytic Society – Western Branch.